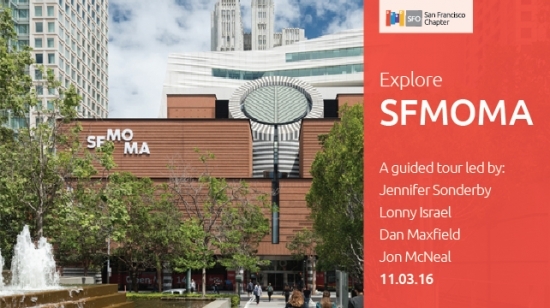 Thank you to all who attended Explore SFMOMA! 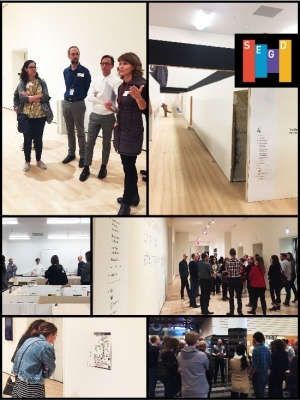 We had a wonderful evening discussing the opportunities and challenges unique to a new museum architecture, wayfinding approach, and brand. 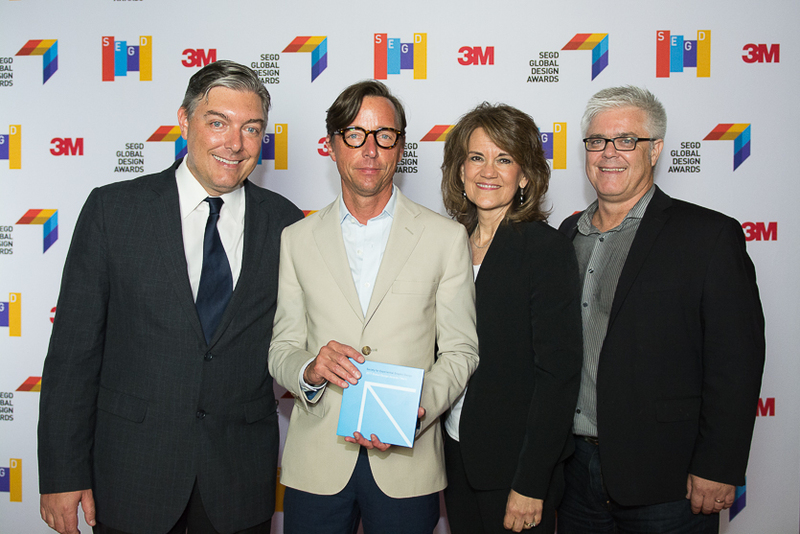 Our tour leaders, Jennifer Sonderby, Lonny Israel, Jon McNeal, and Dan Maxfield, lead us through the the team's approach to unifying the old and new buildings and partnerships that enabled a successful new launch. A tour highlight included the museum model room, where new exhibits that change artwork, signage, and even wall configurations are studied!